Despite Trump, Migrants Fleeing Violence in El Salvador Still Plan for the U.S. Despite Trump’s Asylum Crackdown, Migrants Fleeing Violence in El Salvador Still Plan for the U.S.
July 22 2018, 1:00 p.m.
A five-minute walk from her house, a young man’s body was found hacked to pieces by a machete, his eyes carved out and his head hanging by a thread, she said. If anyone knows who did it or suspects why, they aren’t saying. Tobar Rodríguez insisted the murder was unusual. Another pause. Her sister’s brother-in-law was murdered nearby four years ago, she added. Afterward, she said, gang members tried to enter her sister’s house, and there were rumors that they planned to kill the rest of the family. The sister fled to the United States with her 2-year-old son. When they were caught at the U.S. border, they petitioned for asylum. They lost their case and are now living in North Carolina pending the outcome of an appeal. Tobar Rodríguez also wants come to the United States — mostly for economic reasons, but also because of the violence. 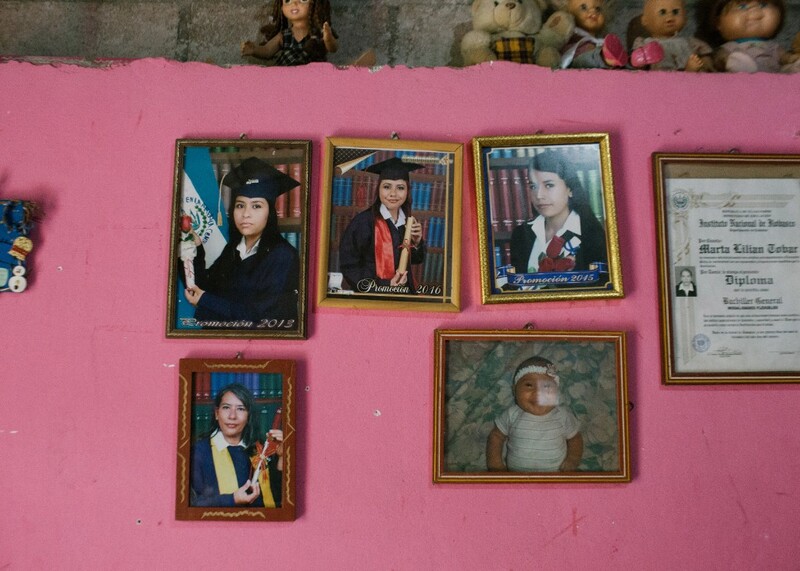 She thought that she could ask for asylum, but her sister dismissed the idea outright. This refrain — that applying for asylum is pointless — was repeated over and over during a trip to El Salvador last month. Several Salvadorans looking to flee their country — and those who tried to cross the U.S.-Mexico border but were caught — told The Intercept they didn’t know how the asylum process worked. They didn’t know the specifics of President Donald Trump’s immigration policy. All they knew was that crossing the border has gotten harder, and that any attempt to claim asylum is probably futile. They may well be right. In June, Attorney General Jeff Sessions declared that the United States will not accept asylum requests based on claims of domestic abuse or gang violence, a move that advocates say could harm tens of thousands of foreigners seeking refuge in the United States — and which will have a disproportionate impact on Central Americans. Deported migrants sit on a bus as they enter the Centro de Atención Integral para el Migrante, or CAIM, an immigration detention facility in San Salvador. Haugaard said under Sessions’s policy, asylum claims would only be recognized if a government intentionally sponsors or is directly involved in perpetrating violence. 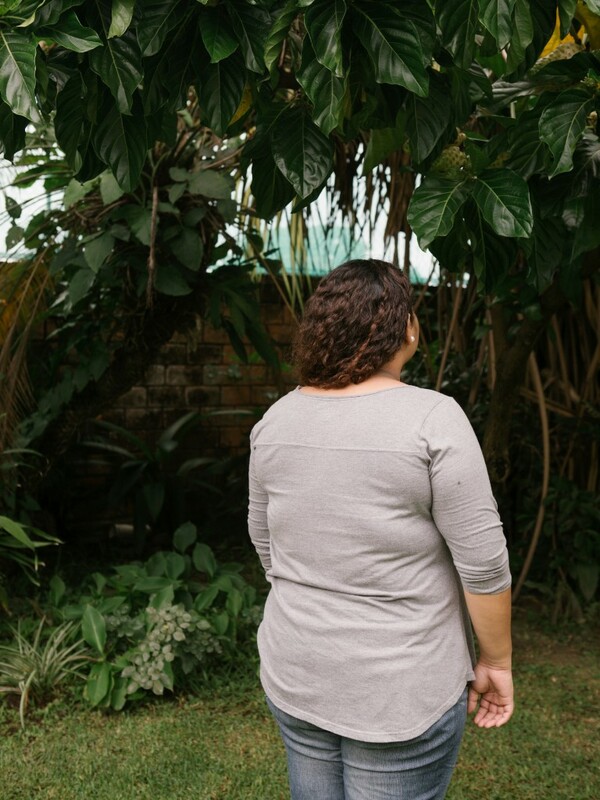 But in El Salvador, the problem is one of the government “failing to act” to prevent gang violence, and by extension domestic violence, she said. Even more extreme is a proposal by U.S. Customs and Border Protection, reported this week by the New York Times, which would eliminate asylum-processing centers along the U.S.-Mexico border. In effect, that would mean prospective refugees could only apply for asylum from abroad. Trump’s hard-line policies appear to be having an effect in El Salvador. Some would-be migrants said they were frightened to go north because of reports of children taken away by U.S. immigration authorities. That fear was the stated intent of Trump’s “zero tolerance” policy, under which as many as 3,700 children were separated at the border before the practice was ended amid legal challenges and public outcry. Ending the policy didn’t diminish outrage in El Salvador: It continued to be front-page news in the major newspapers. “I saw that they separate the kids from their parents and have them in a cage and it’s very sad,” said Erika, 30, who makes $7 a day working on a coffee farm (she didn’t want to use her last name). Erika said she often thought about trying to enter the United States with her two young children to give them a better life. She has friends who successfully made that journey. Erika, 30, photographed at a coffee farm in Metapán, El Salvador. It’s unclear that this sentiment will be a lasting deterrent. During the first months of the Trump administration, the number of illegal border crossings into the U.S. reached a 17-year low. Trump administration officials credited the president’s tough stance. But by December, the number of crossings went right back up to the level they had been at during the Obama administration (overall, the last two decades have seen a downward trend in crossings). The cycle seems likely to repeat itself with each new policy. Whatever their diminished chances under Trump’s crackdown, many Salvadorans are still planning to make the journey. The violence that has spurred an exodus of refugees from El Salvador and neighboring Guatemala and Honduras — the work of gangs like MS-13 and Barrio 18, but also the result of heavy-handed repression by state security forces, trained and funded by the U.S. government — has not subsided, and poverty and climate factors are also pushing people out. She spent eight days traveling to the U.S.-Mexico border in a mix of private cars and public buses, and then another 20 days in a locked house on the Mexican side waiting to cross. When she finally did, Border Protection agents caught her immediately. Tobar Rodríguez said she spent another 16 days in detention before they deported her. One day after arriving back in El Salvador, Tobar Rodríguez was en route to the U.S. again. The coyotes had given her two tries — and they told her if she didn’t go right away, she would have to wait until the following year. “I didn’t have work at the time … and my family needs me to work in order to survive. I felt desperate,” she said. The second time, it took 15 days to get to the border. They travelled across Mexico on the roof of the infamous cargo train grimly nicknamed “The Beast” because so many migrants lose their lives and limbs to it jumping on and off. Tobar Rodríguez thought she would be among its victims. It was so cold she couldn’t feel her hands or feet. Later, she and the other migrants paid farmers to sleep in their stables. But once again, Border Protection agents caught her as soon as she crossed. Twenty-three days later, she was back in El Salvador. Iris Tobar Rodríguez plays with a young girl at her church in Tejutepeque, El Salvador. On Sundays, Tobar Rodríguez is tasked with caring for the youngest children of her congregation. 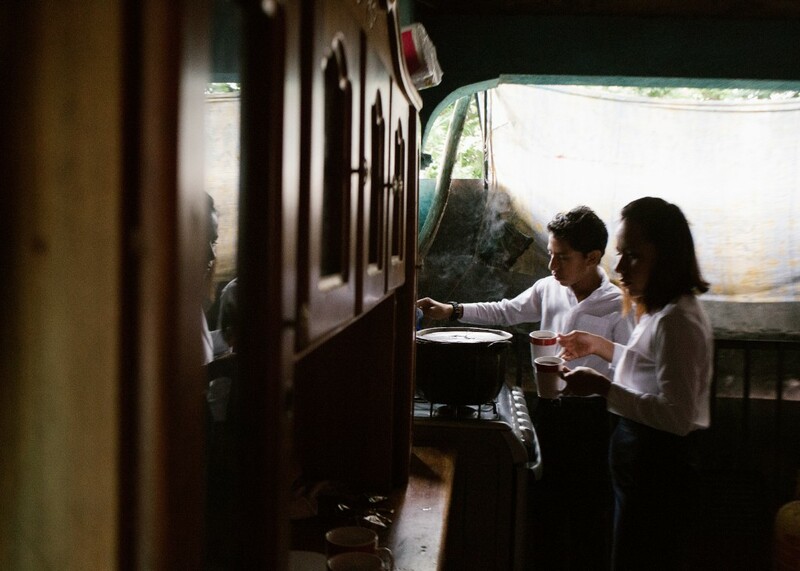 These days, she works as a live-in housekeeper and nanny in San Salvador, earning $5.50 a day. It’s just enough to cover the weekly bus trip back home and to pay for an English class at a nearby university. Her hope is that if she can learn English, she can get a better paying job, but she said the sounds mix together and she can’t distinguish the words. A friend invited Tobar Rodríguez to come to her house to study, but Tobar Rodríguez was scared to go; traveling at night is too dangerous. Tobar Rodríguez spends Sunday, her one day off from work, at church. Most people go for the morning or afternoon service. Tobar Rodríguez and her mother go for both. As the singing begins, Tobar Rodríguez closes her eyes and sways along. She looks transported. She is not one to question God’s will. But she can’t help herself. Top photo: Iris Tobar Rodríguez plays with her pet parrot at her home in Jutiapa, El Salvador.